As 2011 comes to a close, there is no doubt that it has been an extraordinary year in weather. We saw the full gamut of wild weather, both here in New York City and across the United States. 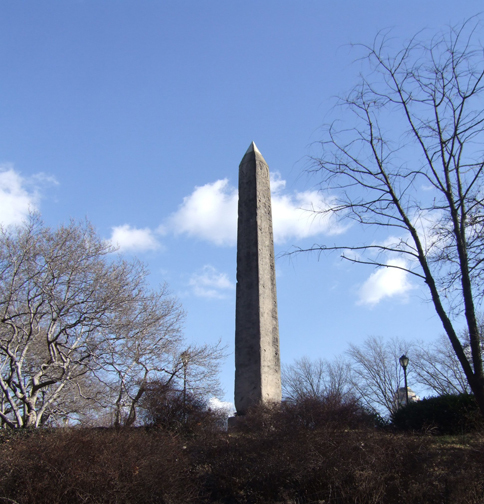 Locally, in NYC, we had a variety of exceptional weather events. January became the snowiest month on record with 36 inches of snow. Our second hottest day of all time came on July 22nd with a high temperature of 104°F. In August, Irene became the first hurricane to make landfall in the city in 26 years. The storm contributed to August becoming our wettest month ever, with 18.95 inches of rain. October brought us an early season snowstorm that left 2.9 inches of snow in Central Park, a record for the month. Overall, 2011 brought us 72.8 inches of rain. That is 22.6 inches above average and marks this year as the second wettest in city history. Nationally, some form of severe weather impacted nearly every state in the U.S. this year. This included blizzards, tornadoes, drought, wildfires, flooding, extreme heat, and hurricanes. According to NOAA, a new record for “billion dollar weather disasters” was set in 2011 with one-dozen extreme events. These twelve natural disasters alone are reported to have taken 646 lives and caused $52 billion worth of damage. Today is the December Solstice, the first day of winter in the northern hemisphere. The new season officially began at 5:30 UTC, that is 12:30 A.M. Eastern Standard Time. The tilt of the Earth’s axis, a 23.5 degree angle, is what gives us the seasons. 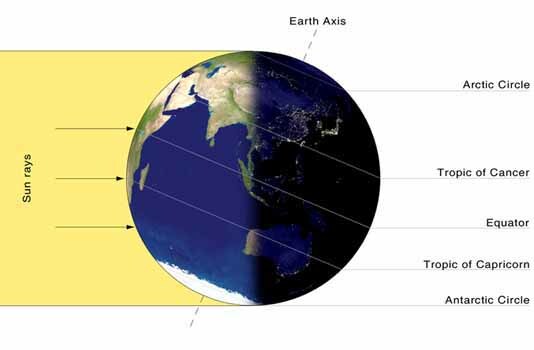 Today, as winter begins, the northern half of the Earth is tilted away from the sun. This position brings the northern hemisphere the least amount of the sun’s energy all year. Today is also the shortest day of the year. Since the summer solstice in June, the arc of the sun’s daily passage across the sky has been dropping toward the southern horizon. It stopped today at the Tropic of Capricorn, its southern most position. (The word “solstice” is Latin for “sun stand still”). It will now begin its apparent journey northward and our daylight hours will gradually increase. Marking the transition to longer days, the winter solstice has been a cause for celebration across many cultures throughout history. The 112th Christmas Bird Count was held in New York City this past weekend. This annual survey gives scientists a picture of how the avian population is changing in a given area. The analysis of recent CBC studies by the Audubon Society shows that climate change is having a serious impact on the songbird population in North America. 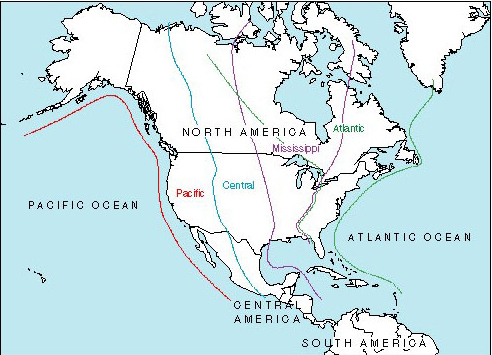 Migration is a regular seasonal event for many species of birds. In general, they fly north in the spring to breed and south in the autumn to find food. The changing amount of available daylight in the sky signals the birds to begin their great treks. Their food sources such as insects, on the other hand, are mostly driven by temperature. As global temperatures rise, spring warmth is arriving earlier and unbalancing the migration cycle. This means that by the time migratory birds arrive at their northern breeding grounds, they will have missed the peak bug season. This in turn, affects the birds’ ability to feed their young and therefore the overall population count. Studies are showing that some species of birds are adapting to the changing climate by shifting their winter ranges northward. Those who have not been able to adapt are predicted to go extinct as global temperatures continue to rise. Birds that do not migrate may see an increase in number as winters grow shorter and food sources are renewing themselves earlier. In any case, the variety of songbirds we see at our backyard feeders throughout the winter will be changing. Objects that indicate the direction of the wind are known as weather vanes. Not all, however, are man made. Flag trees, for example, are living weather vanes. They show the direction of the prevailing wind in a particular location. On mountain ridges, where trees are constantly exposed to strong winds, the windward facing branches of a tree are often stunted or killed. On the leeward side, the trunk shelters the branches. This allows them to grow to normal size. As a result, the tree is sculpted to the shape of the wind and resembles a flag waving in a breeze. 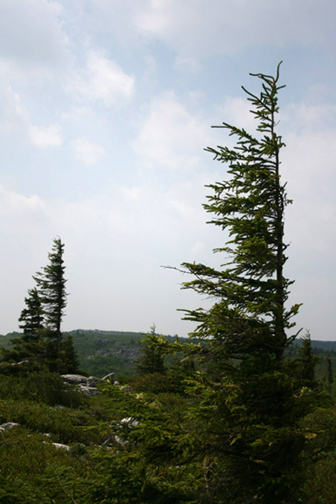 These deformed trees are common features in the windswept sub-alpine landscape, but are not limited to that terrain. Flag trees can also be seen in the tropics, where the strong, sustained trade winds contort trees in a similar fashion near the equator. New York City had its first freeze of the season this past weekend. The temperature dropped to 32°F late in the evening on December 10th. This first nip of frosty air arrived a bit late, compared to the average. 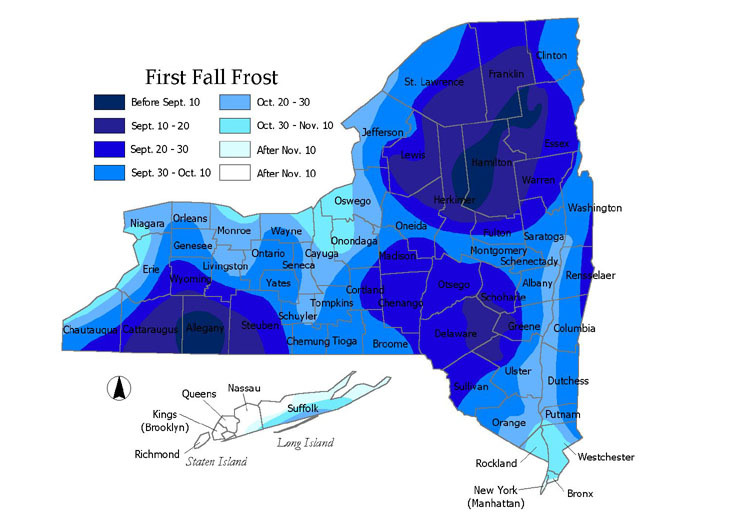 The city usually sees its first freeze sometime in early to mid-November. The earliest 32°F day on record came on October 19th twice, first in 1940 and then again in 1974. Our latest first freeze was on December 22, 1998. This weekend’s foray below the freezing point was brief. The mercury rebounded the next day and the forecast is calling for a continuation of relatively mild conditions. Although we have been experiencing above average temperatures for most of December, colder air will inevitably arrive as winter approaches. We often hear the terms “Global Warming” and “Climate Change” used interchangeably to describe our current environmental conditions. They are, however, slightly different in scope. Global warming refers to the rising average temperatures of the atmosphere and oceans across the entire planet. Scientists report that the Earth’s average surface temperature increased 1.4°F in the last century. The largest increases have been noted over the past 30 years. Climate Change refers to the diverse impacts that these increasing temperatures are causing around the globe. As the additional heat trapped in our atmosphere is circulated around the planet, established weather patterns are being altered. Different regions, therefore, are being affected in different ways. Some are getting wetter and others dryer. Many areas are also seeing an increase in the frequency and intensity of extreme weather events. In addition, coastal regions are being impacted by rising sea levels. While the Earth’s climate has changed numerous times throughout its long history, the change happening now is occurring very quickly and the vast majority (97%) of experts agree that human activities are the main cause. Regardless of what we call it, Global Climate Change is a subject of great concern that affects us all. Last week, as the month of November came to a close, so did the Atlantic Hurricane Season. The six month season was extremely active this year with nineteen named storms. Only two, however, left their mark on the US. Irene was a category-one hurricane that struck in late August. The massive storm affected most of the eastern seaboard from North Carolina to Maine. In New York City, she dumped 6.87 inches of rain and caused extensive power outages. Most of Irene’s sting, however, was felt in the interior sections of the Northeast and New England. Heavy rain in the mountains of upstate NY and Vermont led to catastrophic in-land flooding. Tropical Storm Lee made landfall in Lousiana in early September. This large, slow-moving storm brought significant amounts of rain and flooding to the states along the Gulf Coast. Lee also sparked numerous tornadoes as it moved through the region. These two storms are reported to have claimed 77 lives and caused an estimated $11 billion in damage. Earlier this week, the southwestern region of the US experienced one of its worst wind storms in over a decade. The winds that swept through the area were not a typical Santa Ana event. The Santa Anas are robust easterly winds that blow dry air across southern California in the late fall. It is formed by a large pressure difference that builds up between the inland Mojave Desert and the LA Basin. The steep pressure gradient between the two areas funnels air downhill through the canyons and passes of the San Gabriel and San Bernardino mountains toward the Pacific. Winds speeds generally reach somewhere between 40 and 60 mph. This week’s event was unusual, because it followed a cold front and had a powerful northerly wind component with exceptionally strong gusts. The NWS is reported to have measured wind gusts up to 140 mph along the Sierra Crest mountain ridge. This fierce wind storm uprooted trees and knocked out power to over 300,000 people across the Los Angeles area. Even LAX lost power and had to shut down briefly. Another unusual aspect of this epic wind event was its wide reach across the region. Damage has been reported across the west from California to Colorado. Some places in Utah experienced wind gusts over 100 mph and saw tractor-trailers flipped over like toys. The tight pressure gradient that caused the storm has now weakened and the winds have subsided. The forecast, however, is calling for blustery conditions to return to the southwest in the next few days.